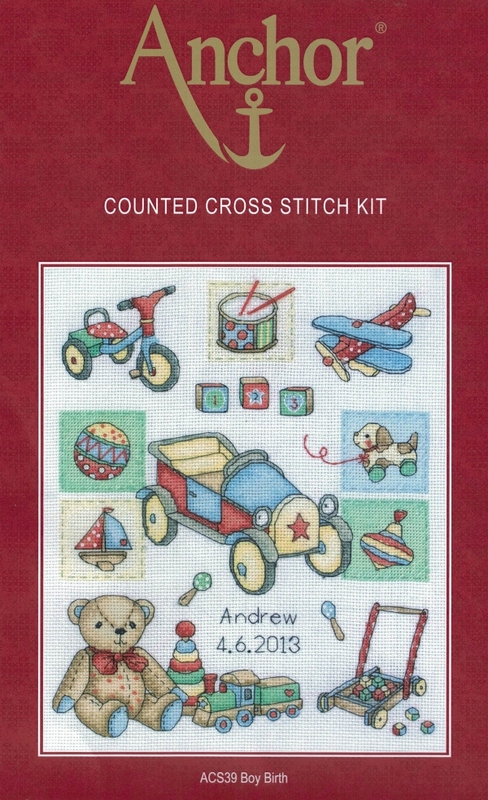 Complete kit contains: 14 countEcru Aida, Anchor stranded cotton, needle and easy to follow instructions. 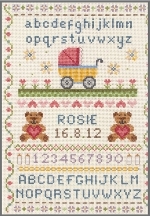 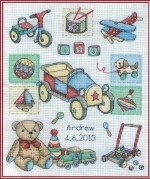 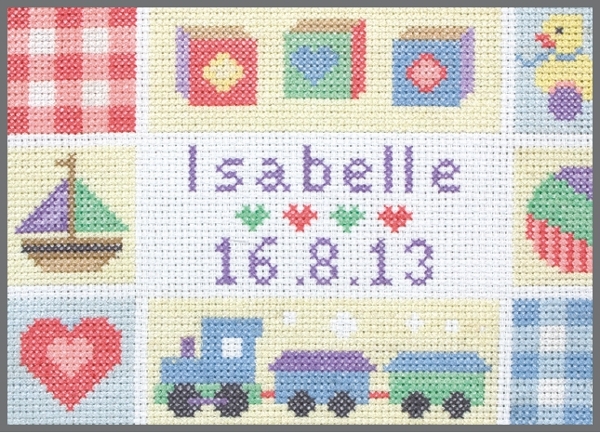 Complete kit contains: 11 count White Aida, Anchor stranded cotton, needle and easy to follow instructions. 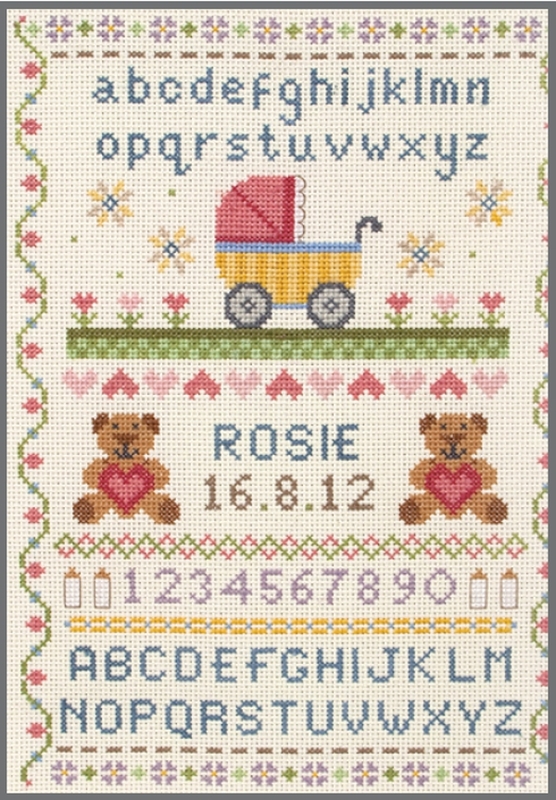 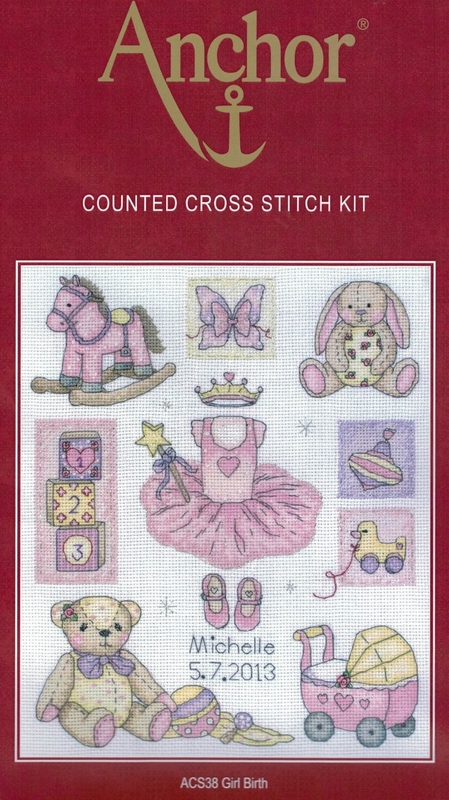 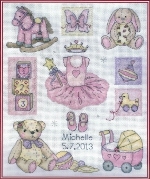 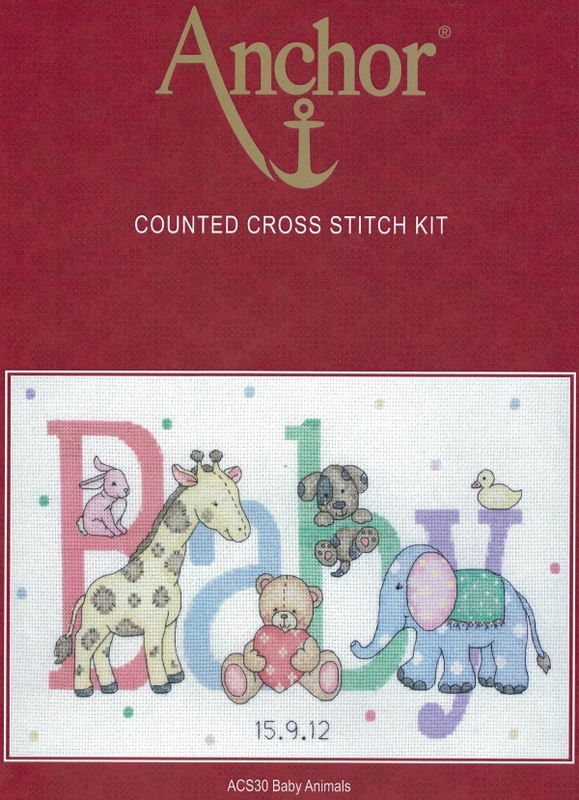 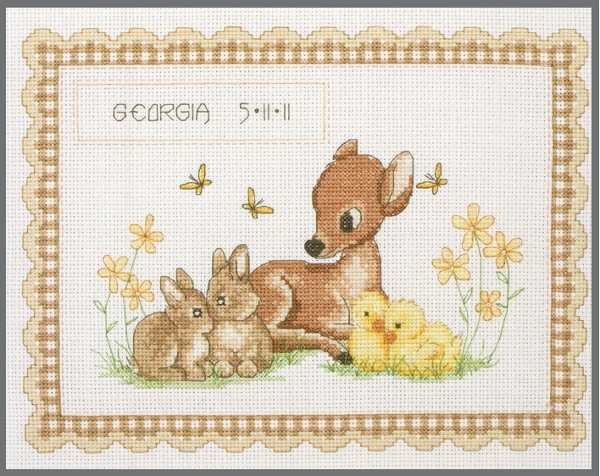 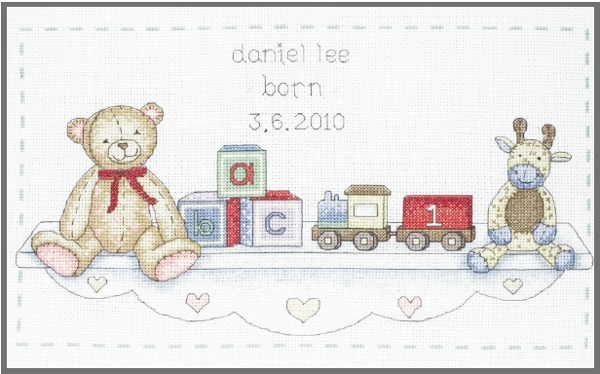 Complete kit contains: 14 count Ecru Aida, Pink and Blue Anchor stranded cotton thread and chart options so that you can stitch for a boy or girl baby, needle and easy to follow instructions.